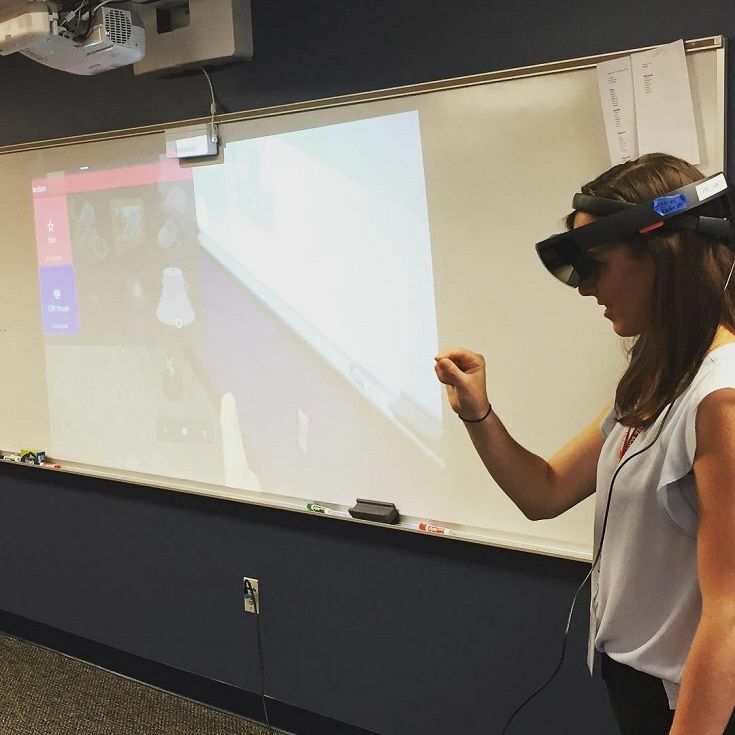 A guest speaker shares her remarkable story about finding her vocation—and demonstrates her cool Augmented Reality product to boot. A smart woman, a biology major, graduates from Dartmouth with no clear career path. She teaches for a year, works in other fields, tries to find the right fit. After beginning a graduate program, she chooses a weekend activity that changes her life forever. Sara Remsen entered a hackathon competition, teamed up with a few strangers, and ultimately used design thinking to create a prototype that would be valuable enough to launch a company. The Augmented Reality equipment that she and her colleagues have developed is changing the world and adding innovation to the workplace. Montrose AP Computer Science students had a chance to hear Sara’s story directly in class on Monday. She and her colleague Luisa Vasquez shared tales about contributing in a male-dominated field and gave a demonstration of their Augmented Reality product, to the delight of all present. 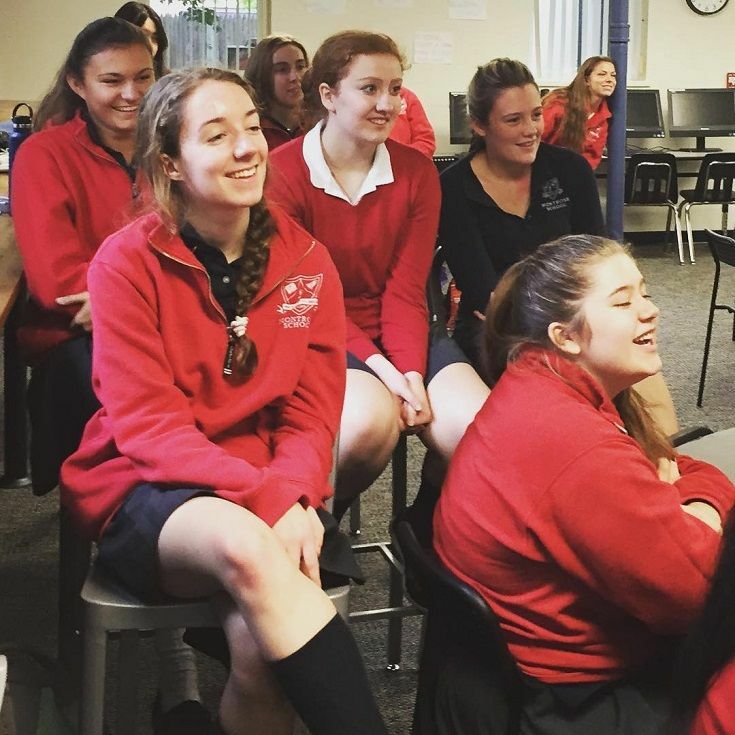 “It was inspiring to hear just how much of a difference we can make, even during and soon after finishing college,” raved Maevis Fahey ‘21, who noted that she was impressed the technology could be used by any untrained person and was compatible with a standard laptop . “All of a sudden, the future doesn't feel so far away, and each of us can be a part of it if we are willing,” Maevis continued. “Being the only woman in the room can feel hard, but it’s critical to ask for help and find a mentor,” Luisa told the students. Sara added that she’s learned that her collaborative leadership style might be different from the stereotypical male manager’s approach, but that she brings something different to the table that is as—or even more—valuable.